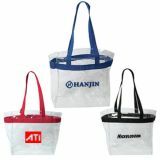 Make Your Brand Information Clearly Readable over these Custom Vinyl Tote Bags! 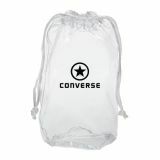 Order discount custom vinyl tote bags at extremely low prices and let them speak for your brand. 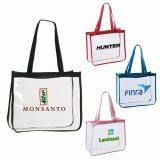 Custom vinyl tote bags are the most bankable promotional items for any business due to their durable design and large imprint area. 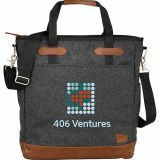 By giving any of these logo imprinted promotional vinyl tote bags, you can convert a prospect into a walking emissary for your business. What are you waiting for? 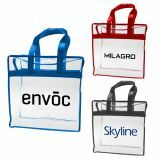 These promotional vinyl tote bags are ideal for tradeshow giveaways, fundraisers or shopping festivals. Our prices include unlimited design proofs, typesetting assistance and shipping. 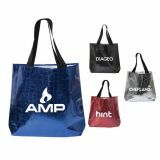 Shop durable wholesale vinyl tote bags customized with your brand logo and distribute them among your customers to expand your brand outreach. 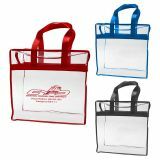 Whether you employ these promotional totes for business giveaways, charity events, and fundraisers or gift them to a batch of students starting their weekend study tour, these custom vinyl totes are sure to work in your favor. 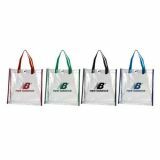 Personalized vinyl tote bags are manufactured from durable PVC plastic and vinyl materials that will provide essential grounding to your promotional campaign. 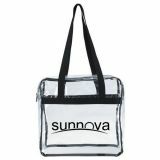 Most of our promotional vinyl tote bags feature chic designs and several of them meet NFL guidelines and regulations. 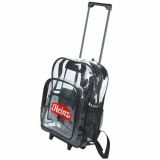 It means your recipients can use them to tote their game day essentials to the stadium without inviting ire of stadium authorities. 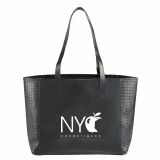 Logo imprinted promotional vinyl tote bags are very popular because they offer large imprint area for brand logo and triggers inquisitiveness of onlookers. 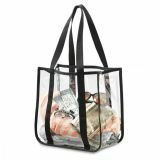 No wonder, promotional vinyl tote bags are becoming great choice for grocery purchases, cosmetic purchases, library books, beach carry outs and more. 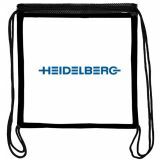 Extra Durable & Light weight – The lighter the weaker is never true and you will understand it by seeing these custom vinyl tote bags. 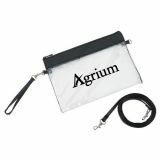 Your recipients can employ these lightweight tote bags for transporting some heavy items without worrying about over-stretching or tearing. 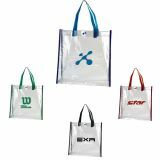 Affordable – Custom plastic tote bags/vinyl tote bags are the most affordable promotional tote bags available with us and you can expect long term exposure over it. 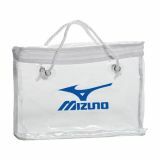 We offer attractive discounts on wholesale for vinyl/plastic tote bags. 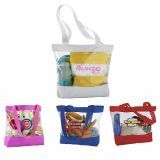 Reusable – Being made of high quality vinyl material, these personalized tote bags are reusable. 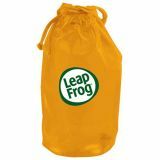 They will help people to curb use of low cost and harmful plastic bags available at cheap prices. 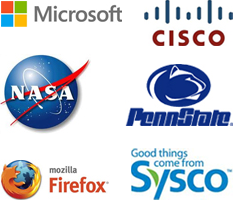 With people using them over and over, your brand logo will be seen and appreciated. 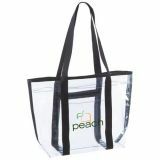 Clear surface for imprint – Anything imprinted on vinyl or plastic bags will stand out because of the clear surface and ink doesn’t fade or bleed unlike on other promotional totes. 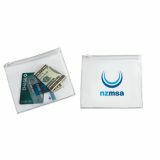 It means your brand logo will be appreciated over these promotional bags worn over shoulders or carried in hands. 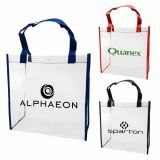 We offer best buy prices on bulk orders of these customized vinyl tote bags, so you can order them for any mass event and expand your market reach as well as brand recognition over them. 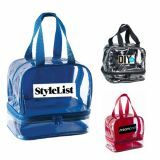 To know more about wholesale price benefits and other promotional advantages of these customized vinyl totes or other promotional gifts, feel free to call us at 844-776- 4677or write to us at info@proimprint.com.